A must buy for every performance-conscious biker. 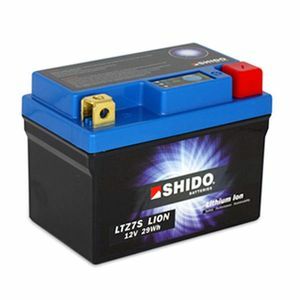 1.7kg weight saving over standard OEM battery. Great product. Worked perfectly. Great advice too. Works very well with my KTM EXC-F 250 (280). Started after spending hours outside in minus 8-10 celcius. A much smaller and lighter replacement battery. Never fitted as more capacity was required rather than a lighter battery. The battery is much smaller and needs to be packed out to fit. My bike is tricky to start but does start easily with my Lithium jump start pack. I thought a Lithium battery with a high CCA would be the solution but even though this battery claims a 150 CCA that statement is not supported by the facts. Its benefits in weight and space reduction are indisputable but its power output does not impress. It does what it have to.